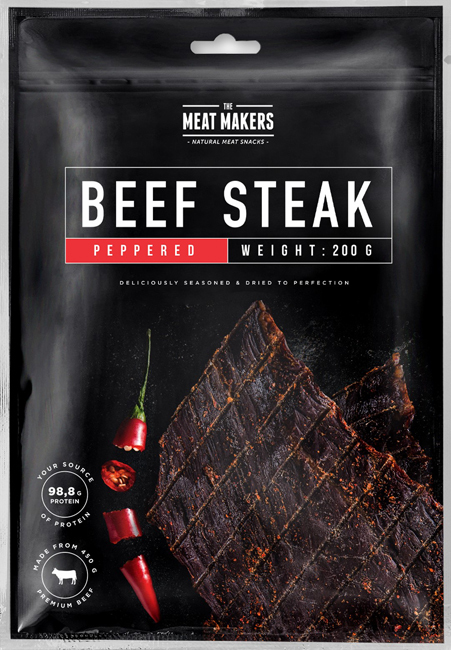 The Meat Makers challenges you with their huge Jerky pieces. Made from 600g of the finest steak, the ultimate experience for true Jerky fans. Produced without any artificial additives. Just meat - no compromises.